Washington fishermen are at the forefront of the opposition to a proposed mine in the headwaters of the Bristol Bay region that sustains the world’s largest sockeye salmon runs. A Trump administration move to withdraw Obama-era restrictions on a proposed Alaska mine has reignited an environmental battle over a watershed sustaining huge runs of wild salmon that draw Washington fishermen north each summer. 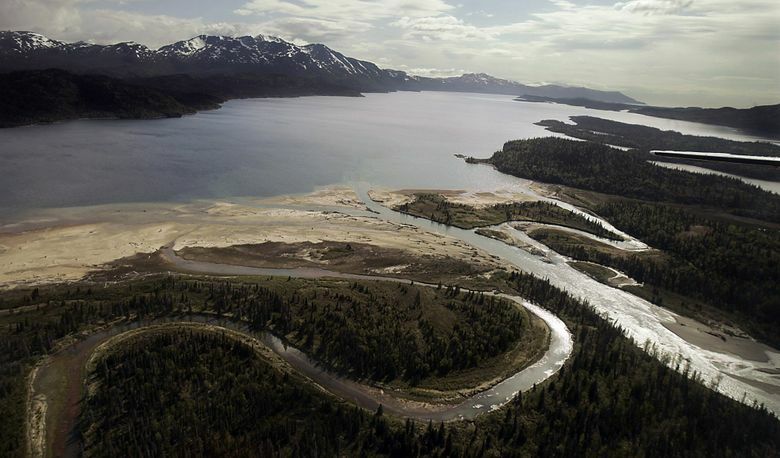 The Environmental Protection Agency proposal would allow Pebble Limited Partnership to apply for a permit to operate an open-pit mine extracting copper, gold and molybdenum in the Bristol Bay region. “This is going to have a big impact — a negative impact — and we don’t want to see it happen,” said David Harsila, of Shoreline, who is one of more than 770 Washington salmon fishermen who hold permits to participate in the Bristol Bay summer harvests that last year yielded more than $200 million in salmon. 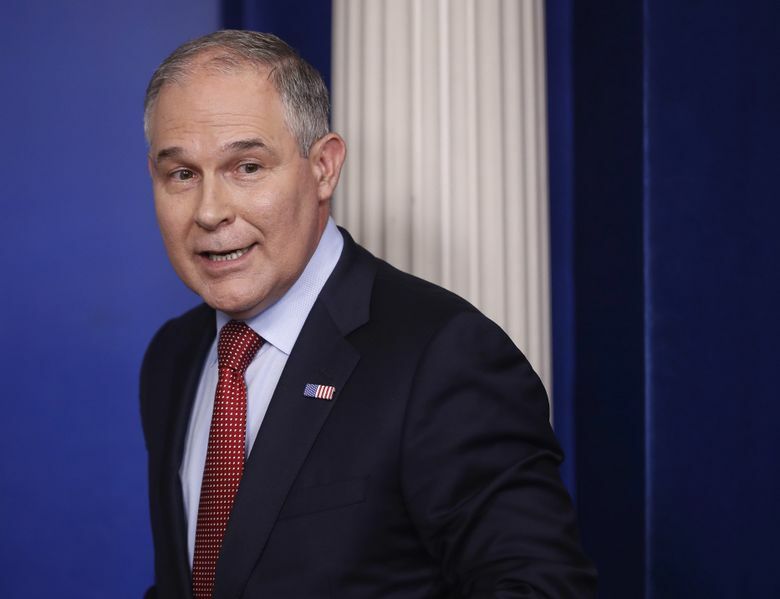 EPA Administrator Scott Pruitt, in a statement released in May, said the agency was committed to a fair permitting process that would listen to all voices. Yet he made the decision to propose the rollback on the same day he met with Pebble Partnership Chief Executive Tom Collier, according to a CNN report, and before he had a chance to consult with agency experts who were preparing a briefing on the mine project. 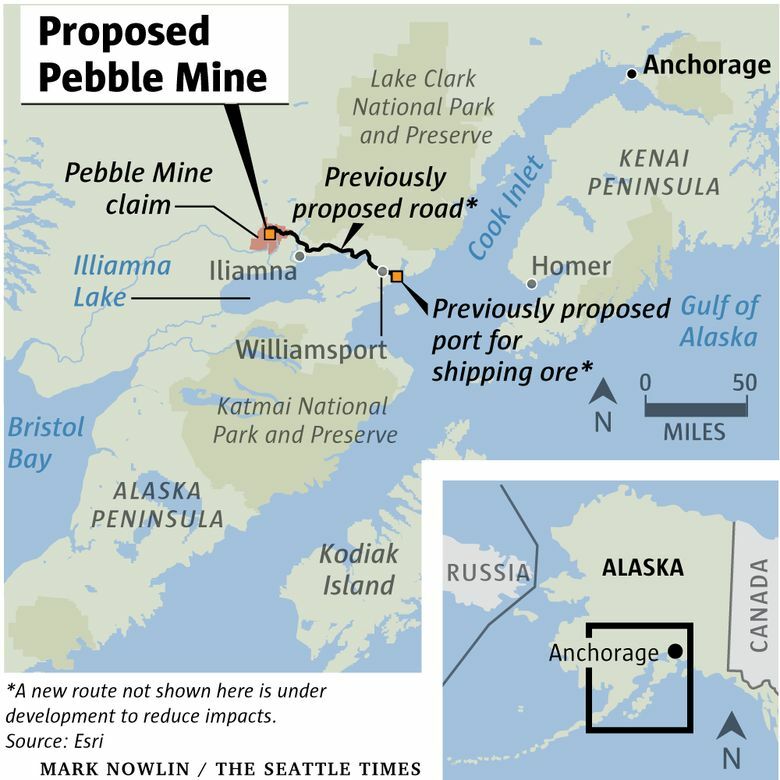 In 2014, the EPA under the Obama administration found the mine development proposed by Pebble would create “unacceptable adverse effects” on spawning and breeding areas. The prospect of the Trump administration reviving the mine proposal has drawn more than 200,000 comments in advance of an Oct. 17 deadline for public input. The voluminous comments reflect the passions generated by the Bristol Bay region, a spectacular part of Alaska where rivers free from dams and large-scale industry produce tens of millions of sockeye salmon for a summer harvest that peaks in early July. The mine would be a major new development, that would ship off the ore — probably to Asia — for smelting. Fishermen such as Harsila — president of the Seattle-based Bristol Bay Fishermen’s Association — have been fighting the mine for years as part of a broader front that includes some native groups, seafood companies, recreation companies and environmentalists. On Wednesday, a new coalition, Businesses for Bristol Bay, was launched with support from outdoor recreation companies, seafood companies and Seattle restaurant owner and chef Tom Douglas. 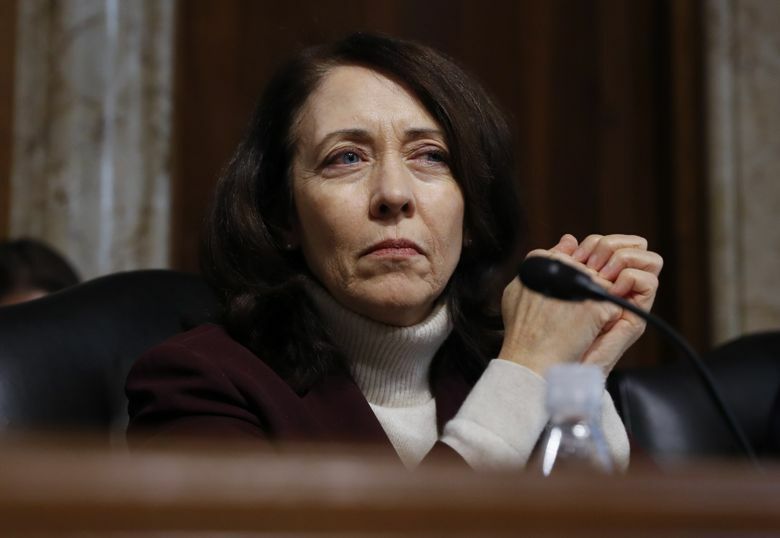 In Congress, Sen. Maria Cantwell, D-Washington, has helped lead the fight against the mine, urging the EPA to take the 2014 action — invoking a section of the Clean Water Act — that effectively blocked development. On Wednesday, Cantwell was among 44 Democratic members of Congress (including seven others from the Washington delegation) who sent a letter to President Donald Trump asking him to retain the Obama-era restrictions, and extend the comment period from 90 to 180 days. The Democrats’ letter blasted the EPA’s proposed rollback of the restrictions as “inconsistent with science, and frankly inconsistent with basic logic” because it would threaten the Bristol Bay region and economy. A spokesman for the Pebble partnership said the Obama administration should not have short-circuited the permitting process typically used to determine a project’s fate. As the project now gains new life, the partnership has proposed a scaled-down version of the mine to boost the chances of a favorable EPA review. The new proposal, for example, abandons a plan to use cyanide to process mine tailings that contain trace amounts of gold. It also has a much smaller footprint, roughly in line, Heatwole said, with EPA restrictions laid out in the 2014 decision. Still, Heatwole said, the company expects the permit process to take years. CNN reported it didn’t take long for the mining company to get an initial favorable response from the EPA. In “little more than an hour” after Pruitt met with Collier, the EPA administrator ordered his staff to reverse the Obama-era restrictions. Heatwole said the meeting was one of a series with Justice Department and EPA officials that dated to the Obama administration. At the time of the May 1 meeting, EPA staff were preparing a briefing for Pruitt on the Obama-era restrictions. But Pruitt opted to make the decision before hearing from them, according to sources cited by CNN. “To me, that was inappropriate. That was a big breach of due process,” said Dennis McLerran, who served as EPA regional administrator in Seattle from 2010 to January of this year. McLerran had oversight over the Obama-era mining review conducted from the Seattle regional office. He said native Alaska groups petitioned the EPA to use a section of the federal Clean Water Act that allows for restrictions even before a permitting process. McLerran said that triggered three years of studies, public hearings and comments. The EPA concluded in 2014 that the mine — as proposed — would harm the watershed through the disposal of dredged materials, the potential failure of wastewater treatment systems and other actions that would degrade the watershed that supports salmon. As a result, the EPA would not consider that mine plan for permitting without major restrictions to reduce the impact. McLerran said he is skeptical Pebble Limited Partnership is ready to settle for a much smaller mine as the company has promoted a larger mine in proposals to investors. McLerran likened the situation to a camel getting its nose under the tent. “They are coming in with a very small first phase with long-term plans to develop the whole resource,” McLerran said. Heatwole said the project now being proposed would make financial sense over the course of 20 years of mining. Any expansion would have to go through new environmental reviews.